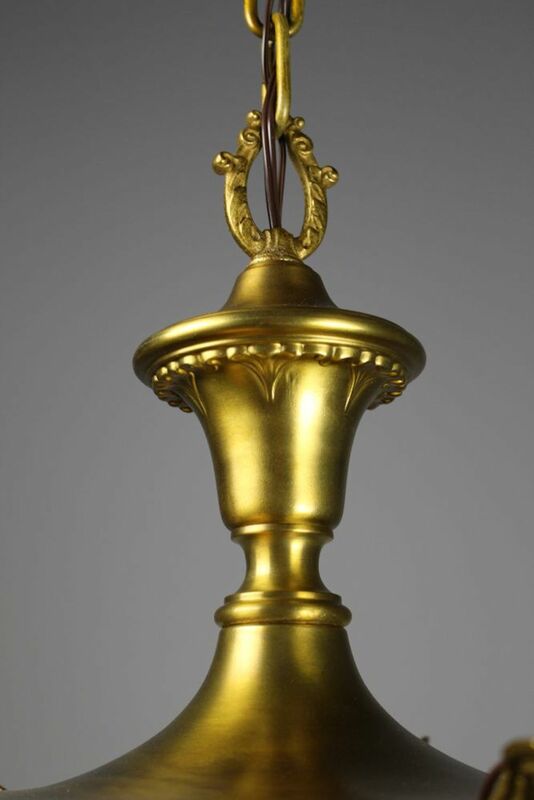 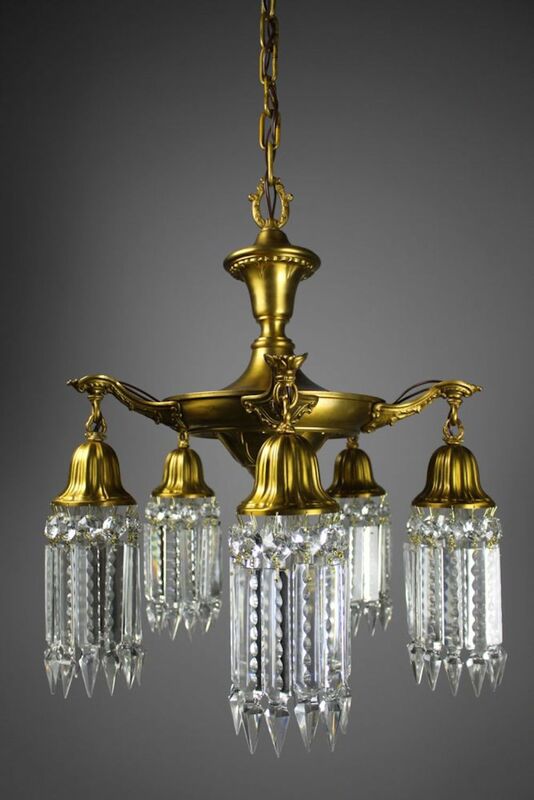 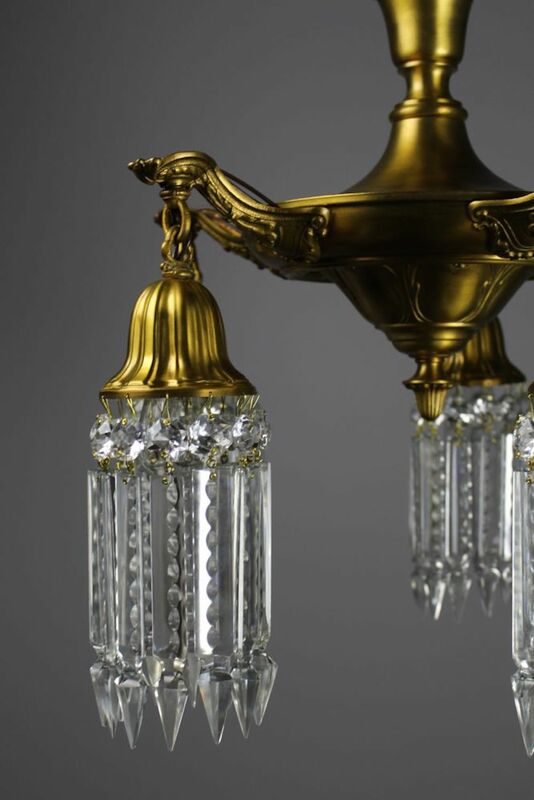 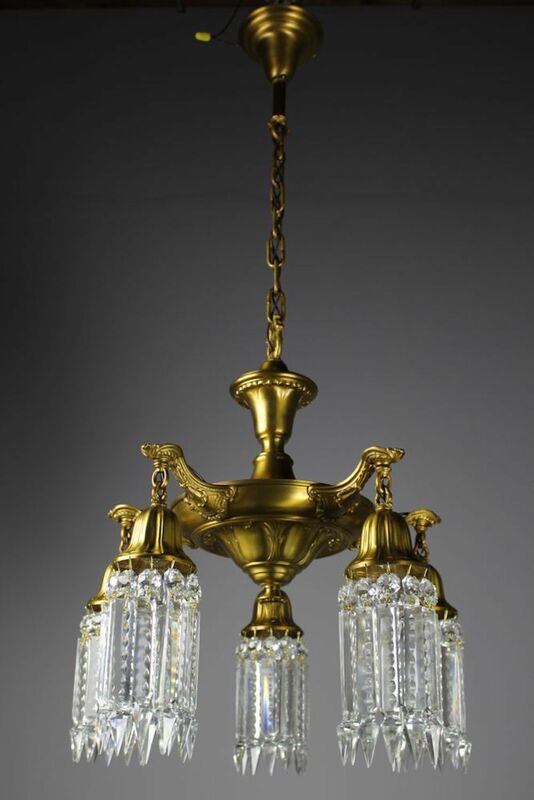 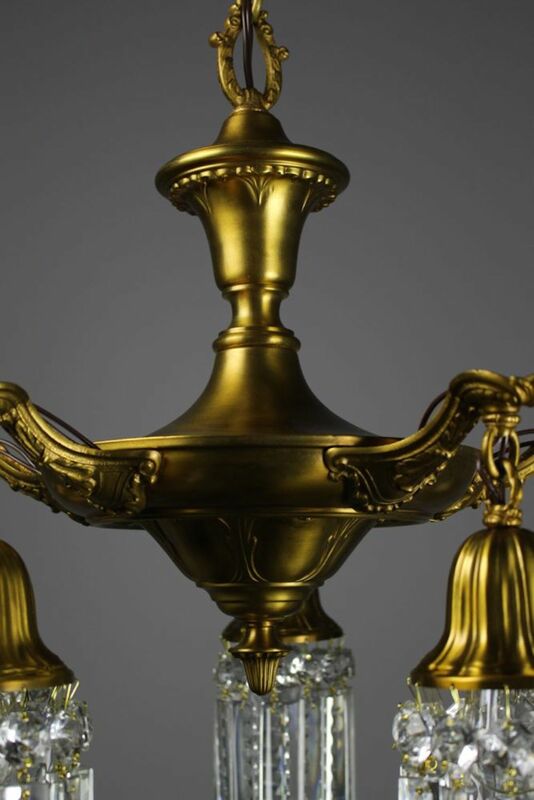 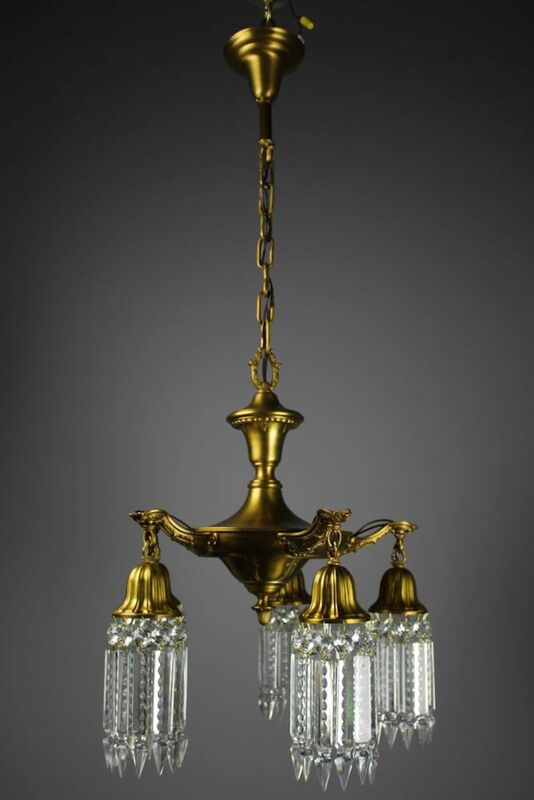 Circa 1910 Wearing its original gilt finish, this pretty light is bedecked with notched crystal, and highly decorative castings. 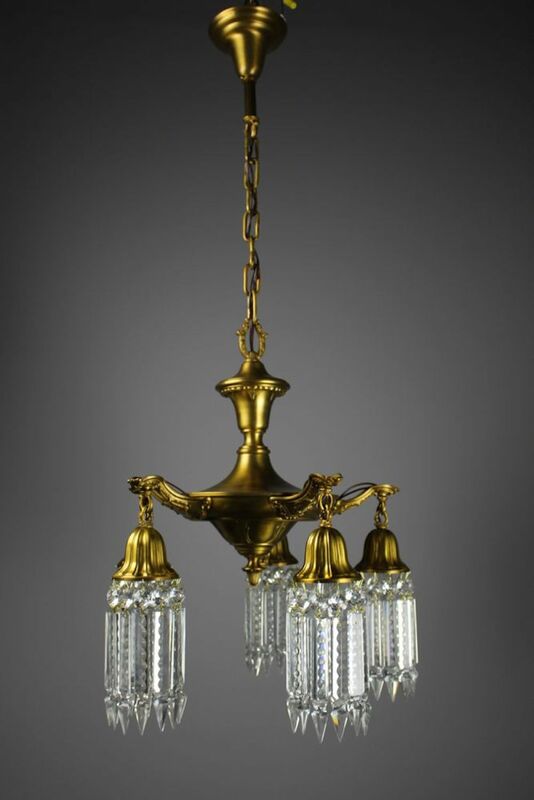 This 5-Light fixture has Sheffield-style arms, in a warm golden finish. 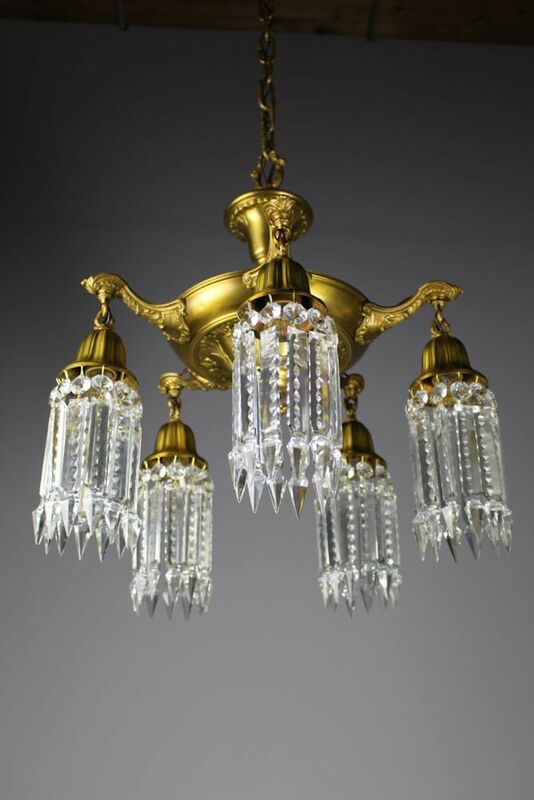 Re-wired and ready to hang. 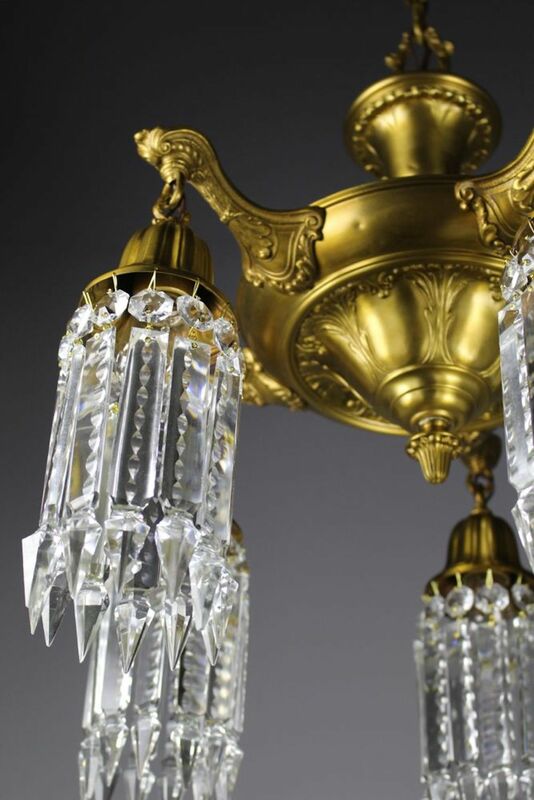 See more: Antique Chandeliers, Antique Lighting.